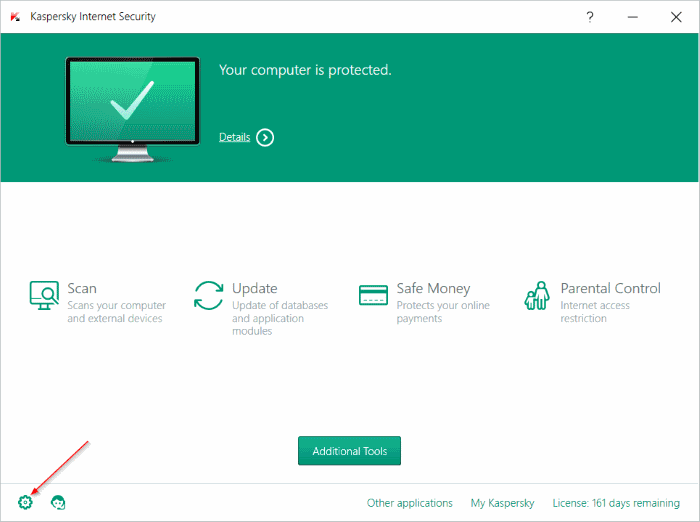 Kaspersky Antivirus and Kaspersky Internet Security software are widely used to protect Windows operating system as well as data from viruses, malware, spyware and other threats. 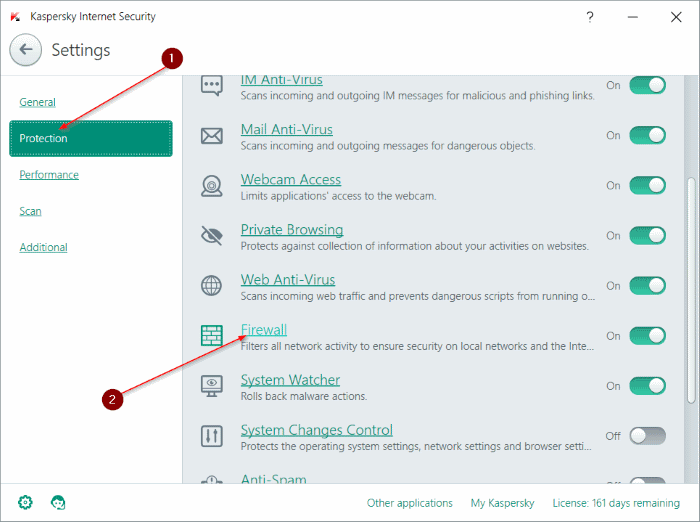 The Kaspersky Internet Security includes is not just an antivirus software but includes some advanced features that help you detect vulnerabilities in Wi-Fi networks. 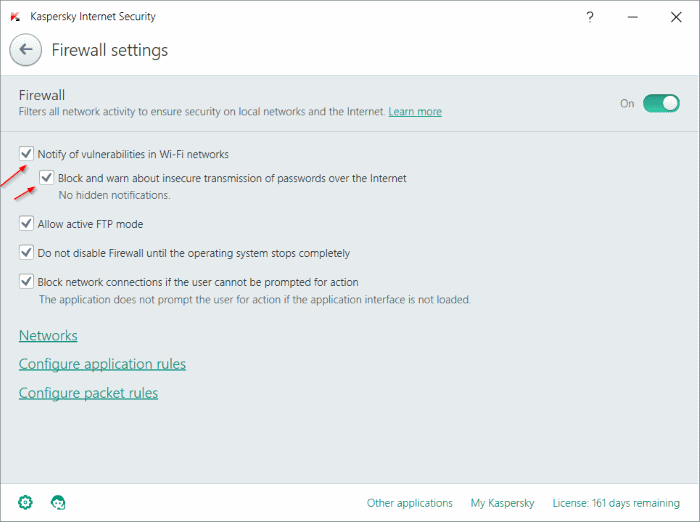 With default settings, when you connect to an insecure public or private Wi-Fi network, the Kaspersky Internet Security displays the following notification with “Protection level of wireless Wi-Fi network is low” message. The message displays why Kaspersky considers the connect Wi-Fi network as insecure. In the following image, KIS has shown the notification because we connected our PC to a Wi-Fi network using a vulnerable protection protocol. As you can see in the picture, you can click Do not show for this Wi-Fi network link to stop seeing this notification in future when you connect to the same Wi-Fi network again. Then there is another link labelled “How to improve protection and why” click which shows a webpage with loads of information on security your Wi-Fi network. According to this support page of Kaspersky, WEP and WPA protocols are considered vulnerable and when you connect to a Wi-Fi network using WEP or WPA, it shows the above Protection level of wireless Wi-Fi network is low message. Kaspersky recommends you to use WPA2 protocol instead. If your Wi-Fi network is using WPA2 protocol, you should also make sure that you’re not using a commonly used SSID (Wi-Fi network name) such as Home, Office, Windows, and PC. Instead use an unpopular SSID with a strong password. And if you want to turn off the notification about Wi-Fi vulnerabilities or want to enable the notification, please follow the given below instructions. Step 1: Open Kaspersky Internet Security either using Start menu search or clicking Kaspersky icon in the system tray. Step 2: Click on the Settings icon (located lower left) to open Kaspersky Settings window. Step 3: Click Protection tab and then click Firewall as shown in the picture below. Step 4: Check options labelled “Notify of vulnerabilities in Wi-Fi networks” and “Block and warn about insecure transmission of passwords over the Internet” to get notifications about vulnerabilities in Wi-Fi networks. Uncheck these two options to turn off notifications about Wi-Fi vulnerabilities. Our how to view saved Wi-Fi passwords in Windows 10 guide might also be of interest to you.